Photo by Jessie Preza | Styling by The Digital Design Co.
Just as the name suggests, the Dapper Doughnut seeks to raise the bar on your average sweet treat. 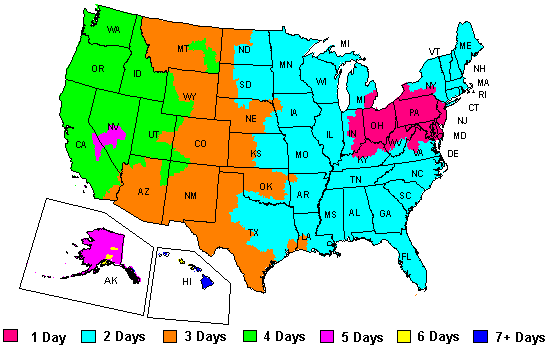 It’s no surprise, then, that they currently have nine locations throughout the country. And they’re slated to double that by mid-June of 2017. 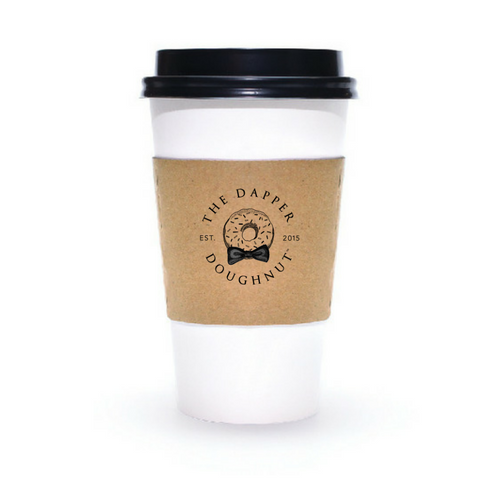 Most of the Dapper Doughnut posts are franchises, too. 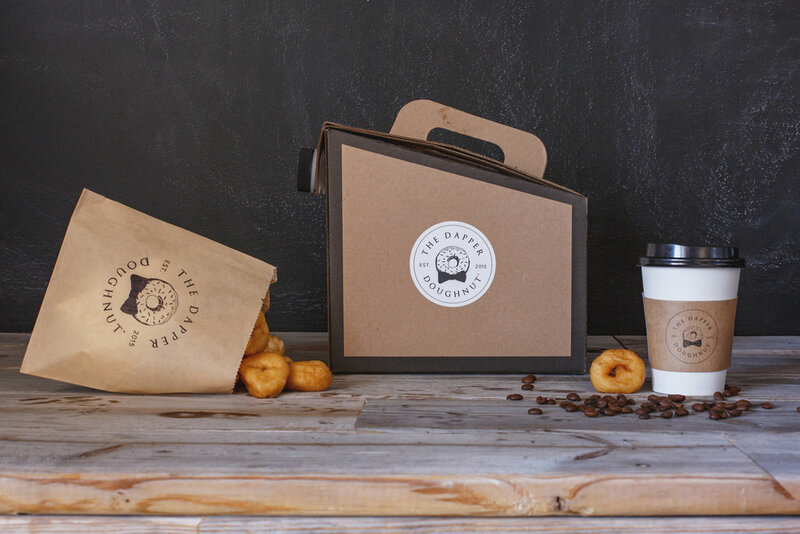 And they’re the first national mini doughnut franchise with a focus on hot mini doughnuts that are made to order. 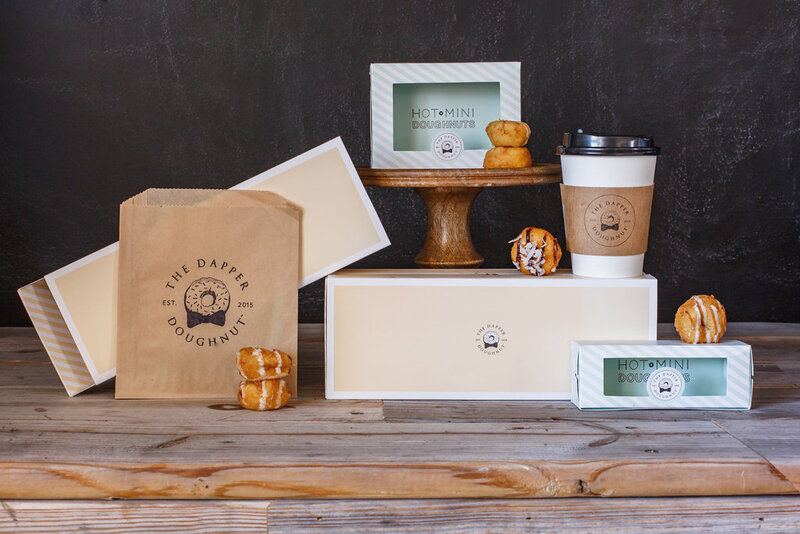 The Dapper Doughnut needed custom packaging that is just as buzzworthy as its product. “We designed the branding, packaging, website, and other brand assets to elevate the typical doughnut shop experience to an artisan level,” says Jacqueline Ball, Digital Strategist and Brand Developer at The Digital Design Co. Because of her expertise, she helped launch the burgeoning company into a nationally recognized brand. Ball contacted MrTakeOutBags to work on both the grease resistant kraft pastry bags and the matching coffee cup sleeves for the franchises. “Our packaging is designed to make the customer feel like they are receiving a gift,” explains Ball. “We created social media share-worthy packaging so we could capitalize on the millennial trend to share new and exciting experiences. At MrTakeOutBags, we couldn’t agree more, which is why working with someone like Ball on a cohesive brand is so rewarding. Not only does she believe in the product, but she also understands the power of printing a company logo on all its packaging.